Watch iTunes Protected Video on any device, - anywhere! Easily Remove DRM protected from purchased iTunes videos. If you own an iOS device, you would have spent your money in order to purchase iTunes videos. Unfortunately, you will not be able to copy those videos to your Android or Windows powered devices. That’s because Apple has introduced Fairplay DRM to all their iTunes videos. DRM, which is also known as Digital Rights Management can simply be defined as a systematic approach introduced by Apple to copyright protect digital media content. This has created a lot of frustration among Apple users. You have already spent your money to purchase the videos, but you will not be able to share them across the devices that you own. On the other hand, the rented movies are also restricted by this and you will not be able to access the files after the time limit. However, you don’t need to worry about anything because you can easily find a DRM removal software tool that can be used to convert a protected video to MP4 format. DRM Video Converter is a perfect example for such a tool. 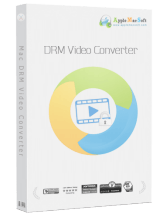 DRM Video Converter can be considered as one of the best tools available out there on the Internet for people to convert protected videos to MP4. The unique and impressive features offered by this tool have contributed a lot towards its popularity. DRM Video Converter can simply be defined as an application that comes along with a simple and user friendly interface. However, it is powered by powerful functionalities. For example, it can batch convert digitally protected media files to MP4 within a short time period. All the videos are being converted without compromising their quality and people will get the opportunity to enjoy the best quality videos without any hassle. 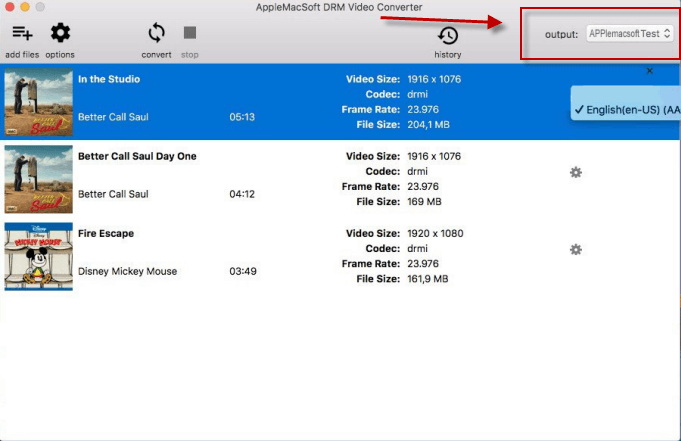 As mentioned earlier, DRM Video Converter comes along with a simple and intuitive user interface. You would need to go through few steps in order to convert DRM protected videos to MP4 format with ease. Here is an outline of the steps that you need to follow. Installation is very simple, drag and drop application icon into to the application folder, and then double-click the program to open it. 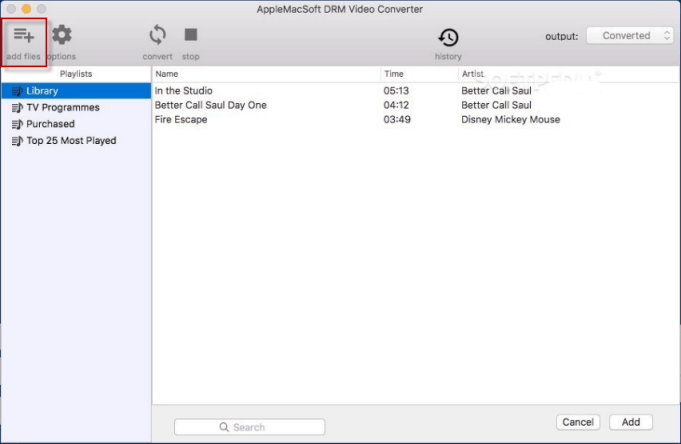 As the first step, you need to add all the DRM protected videos files that you want to convert. When click the "add files" button, all your purchased and rented iTunes videos would be listed out. Since DRM Video Converter has the ability to batch process protected videos, you can add more than one video at a time. As the next step, you need to select the specific location where you need to save the converted MP4 video files. The final step is to hit on the "convert" button and start converting all the DRM protected media files that you have. 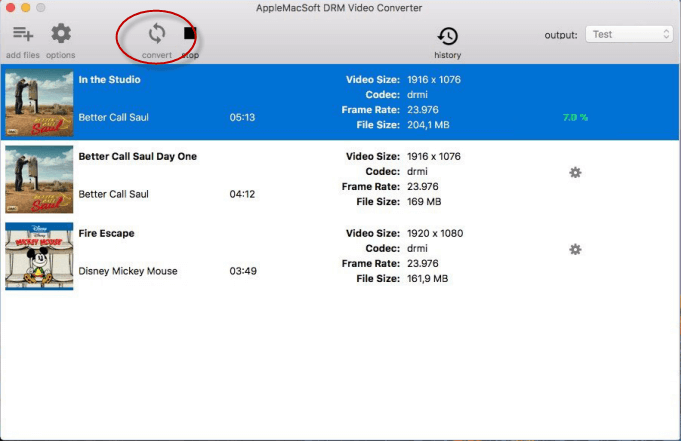 After conversion, you can find the converted iTunes videos (.MP4) by clicking the "History" button and then transfer the converted iTunes videos to any media devices and video players. As you can see, you don’t need to go through any hassle in order to convert DRM protected video files that you have to MP4 video format. This software tool can deliver quick results to you and you will be able to complete the conversion process within few minutes. 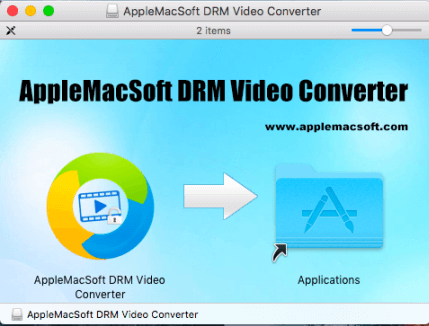 Therefore, any person can think about using AppleMacSoft DRM Video Converter in order to get rid of DRM validation in iTunes videos and TV shows. Just download the free trial version and follow the instructions shown. How to Convert DRM protected songs to MP3 on Windows? How to Convert Purchased iTunes movies to MP4 on Mac? You can immediately download the latest version of DRM Video Converter and start to converting DRM protected video to MP4 right now !